Do you sweep or clean the concrete of your garage floor only to have it feeling gritty and dusty the next day? Even after washing it down, can you can run your fingers over the concrete once it is dry and get a white, dusty film on your fingertips? If so, you may have a problem with concrete dusting. 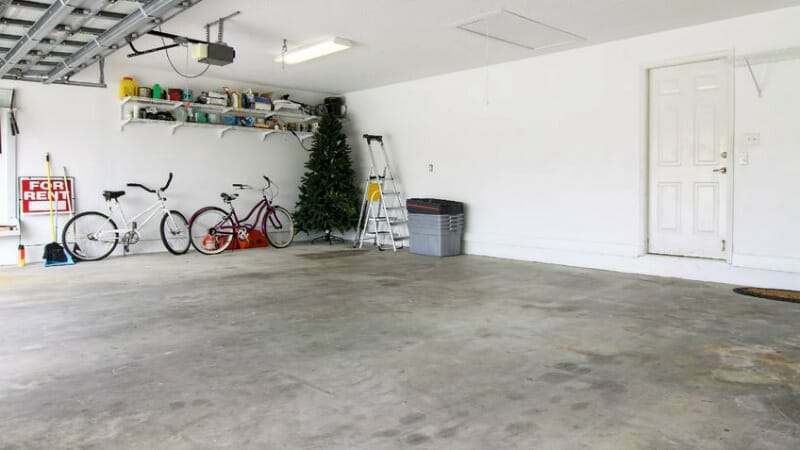 The good news is that dusting of your garage floor can be stopped or significantly reduced in most cases. What is concrete dusting and what causes it? 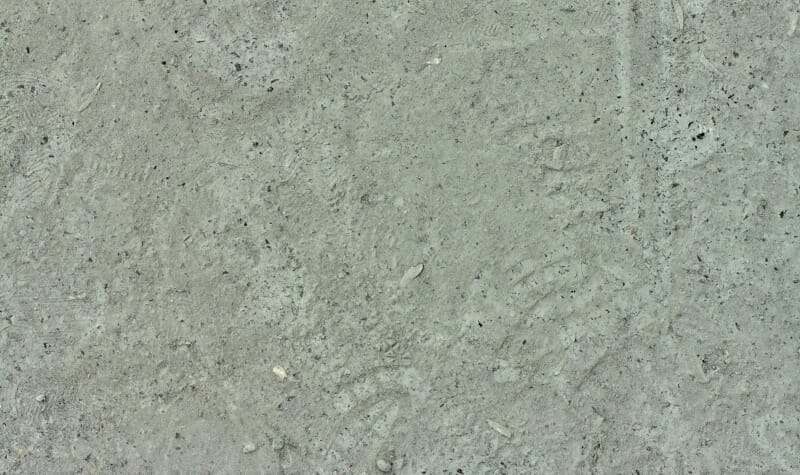 Dusting is the white chalking and/or powdering of the concrete at the surface. It is primarily caused by the slow disintegration of a weak top layer of concrete. Foot traffic, cars, and yes, even cleaning can enhance the problem. There are many reasons for this weakened layer of concrete. It can range from poor mixing of the concrete at the plant, excess clay or silt in the concrete mix, old age, or even insufficient curing at the surface. The most common reason, however, is excess bleed water at the surface during the finishing process. If there is too much water in the concrete mix, this water will rise to the surface during the finishing process (troweling). This bleed water can carry finer particles and cement to the surface, forming a weak layer of concrete at the upper most top of the slab. This surface laitance is actually a porous layer of softer concrete that slowly breaks down, thus creating the white powdery surface. In some cases the surface can be so soft that it can easily be scratched with a sharp screwdriver or nail. This same condition can be also be caused when water is added to the surface during the finishing process in a last ditch effort to create a smooth troweled surface. Sweeping of the concrete never seems to get it completely clean since the surface is in a constant state of disintegration. If left untreated, this fine concrete dust can become extremely annoying as it finds its way onto the surface of cars, work benches, laundry machines, and anything else kept in the garage. It can also easily be tracked into the house on the bottom of your shoes. Fortunately, stopping concrete dusting of your garage floor is not a difficult process in most cases. Doing so will not only slow down or fix the dusting problem, it can also seal your concrete and protect it from further damage at the same time. For very light dusting, a simple solution is to apply a siliconate penetrating sealer. Siliconate sealers chemically react with the concrete to form a calcium silicate barrier at the surface. This barrier not only seals the concrete, it helps to strengthen the weakened layer of laitance at the surface. Siliconate sealers do not change the appearance of the concrete, but they will bead water and protect the concrete from road salts, freeze thaw damage, and even help resist stains. Application is easy and the only prep necessary is to clean the garage floor. You can learn more about siliconate sealers here. Another option for light dusting would be the application of an acrylic topical sealer. These type of sealers are film forming and create a protective barrier on top of the surface. They work well at stopping concrete dusting and make the garage floor easy to clean as well. Our recommendation would be an MMA acrylic sealer. If the dusting is a bit more extreme, but the surface isn’t so soft that you can easily scratch or gouge it with a screw driver, then a densifier would be a better solution. Densifiers are actually a concrete hardener. They are used primarily for polishing concrete but have other uses as well, including the reduction of concrete dusting. They penetrate deep into the concrete and have a strong chemical reaction that helps to fill open pores and capillaries within it. They can actually increase the surface strength up to 40% depending on the initial condition of the concrete. Unlike siliconate sealers, however, densifiers do not form a protective barrier at the sub surface since the molecular structure of the densifier is much smaller. Because they do such a good job of making good concrete more dense, they are sometimes mistaken for a sealer since water can sometimes bead initially after application. Lithium based densifiers are the easiest to apply and usually the most effective. As with the siliconate sealer, all that is required is to clean the concrete before application. Densifiers will not change the look of the concrete and they are easy to apply as well. We did a review of a densifier which we had applied to a garage floor for a family member. The concrete needed treatment that only a densifier could provide. We were very happy with results and you can read about it here. If you like the look of your bare concrete, but you want to fix the dusting problem and seal it the best you can as well, then a two step procedure of a densifier and penetrating sealer would be the best option. This product from GhostShield would be an excellent choice. If the surface of your concrete is soft enough to scratch with a screwdriver or your dusting is severe, then you may want to apply a floor coating such as epoxy. 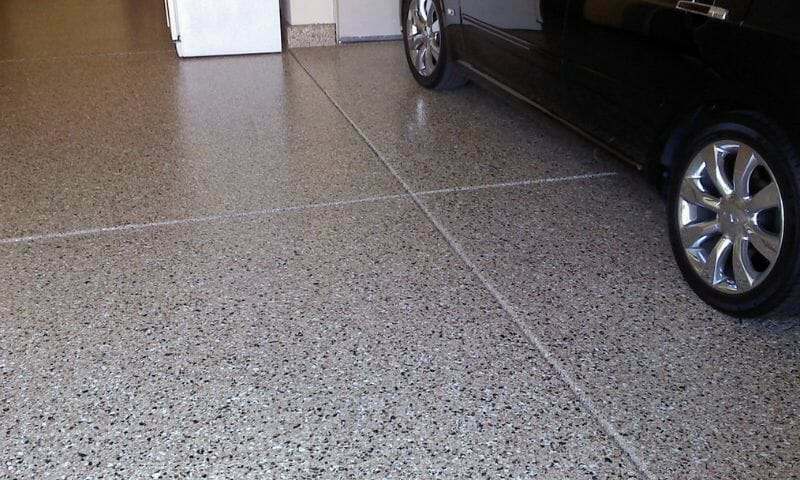 A properly applied coating will not only enhance the looks of your garage floor, it will last for years and provide excellent protection from the elements, including chemicals and automotive fluids. 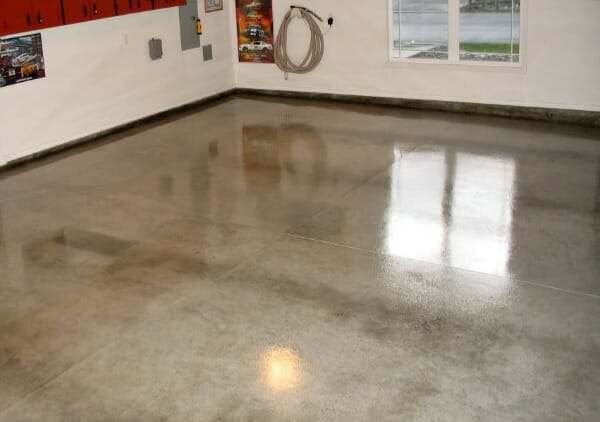 If decide to apply a garage floor coating to a garage floor that is dusting, then grinding the concrete is required. Grinding will remove the excess laitance and layer of soft concrete at the surface. Acid etching will not effectively remove laitance. If epoxy is applied to dusting concrete that was prepped only with acid etching, the epoxy will peel up at a later date, exposing a thin layer of concrete dust on the bottom of the epoxy. You will need to use an aggressive concrete grinder in order to remove the upper layer of concrete. If the garage floor coating is professionally installed, the contractor may even use a shot blaster to remove the soft layer. Though concrete dusting can be a real nuisance in your garage, it doesn’t mean that you can’t tackle the issue with a little bit of DIY effort on your part. Unless the dusting is severe, proper cleaning of the floor and easy application of a penetrating sealer or densifier usually gets the job done. All that is required is some cleaning supplies and a pump up garden sprayer to apply. If the dusting is severe enough that the concrete can be scratched easily, we recommend contacting a floor coating contractor if you do not feel comfortable with grinding the concrete or installing an epoxy coating yourself. Finally, it’s always a good idea to contact a quality concrete floor coating and sealing vendor to ask questions if you are unsure. Home improvement centers generally are not well educated on such topics and most do not carry the proper products to use. Vendors who specialize in concrete coating and sealing products, on the other hand, are extremely knowledgeable and can help you to successfully stop concrete dusting of your garage floor. I want to put 100% epoxy coat in my garage floor I diamond griend the floor. But not ready to put it on because of the possible bubbles. So I called epoxy-coat where I got the epoxy.I don’t want to buy primer from them $189.00 .is their any good primer I can use for 100% epoxy from epoxy-coat.which gives me the same results. Hello Ravi. We weren’t aware that Epoxy-Coat offers primer now. Up till now they never carried it. You can get a real good water based primer that is compatible with the Epoxy-Coat from Garage Flooring LLC. You can find it here. It’s TL015 TrueLock Epoxy Primer. Yes Ravi. It’s designed that way for best concrete penetration and compatibility with 100% solids. What do you guys think of the coatings you can find at your big box stores? For home garage use, such as Rustoleum or Valspar? I don’t have any issues with the concrete, so I was just going to clean it with my extraction cleaner before using one of these. Should I stay away from these products, or are they ok for residential use, in your opinion? We talk about those type of coatings here Robert. I have recently noticed excess dusting of our garage floor. I really want our floor to last as long as possible, so I appreciate your suggestion to use a mild sealer to help protect the surface. I think that even this small step can really help to make our floor last. Hello Mark. You always want to do any repairs to the concrete first before doing any type of sealing treatment. Hello Mrs Snell. It sounds like your garage floor has a soft concrete top. Unfortunately the Pva sealant was the incorrect product to apply and it most likely blocked the Bostik densifier treatment from doing it’s job. Epoxy will not work with a soft top and it will not fix areas where you have pitting and loose aggregate (stones) in the concrete. At this point what would be required is to grind the surface of the concrete to remove the incorrect sealer that was applied and to remove to the upper soft layers of concrete. After that we recommend applying a good concrete densifier to the surface. This will help to harden the concrete and prevent the dusting. The Bostik may well work, but we are not familiar with product available in the UK. Before you do all this, however, you will need to remove all the loose aggregate in the holes with a hammer and chisel and fill them with a polymer-modified cement repair product. The grinding will smooth out the repairs. Hello Nila. What type of clear topical coating/sealer do you plan on applying over the concrete stain? Once you apply the L3000 concrete densifier, Nila, you will want to wait one week for it to take effect. After that you can stain your concrete. For a clear top coat indoors, we recommend using an MMA acrylic sealer. Legacy Industrial has an excellent product which you can find here. It has a nice glossy finish and is easy to apply. Two to three real thin coats is best. Legacy Industrial also has concrete stain if you have not sourced any yet. Awww thank you so much…I have been stressing out bc I could not find a solution to this ugly problem that I have. We have spend a great deal of money on a new 18by36 patio and a 14 by18 bar room. I though I was going to pull out that new concert in the 14by18 room and thrown another new concrete floor. I will stay in touch. Again Thanks, feels like I got some relief. Can I use Acid Stain on this floor? Or does it have to be just stain? That’s a great question, Nila, and one we should have addressed. If you want to use an acid stain you need to apply the densifier after the stain has been applied and neutralized. However, if you want to apply a dye, then you apply the densifier first then the dye. I have a 1934 bungalow with a basement that I am slowly trying to finish. I stripped off a ton of old VCT tile the previous owners installed and noticed moisture underneath some areas. I am trying to figure out the most economical flooring solution that will actually work. I would like to do epoxy, but I am concerned about the water vapor. I am also concerned about the concrete being soft. What are your thoughts on using a densifier before an epoxy coat? If you have moisture, Nick, then epoxy is not going to work. Epoxy does not breath and the moisture will cause it to lift and delaminate. You do not want to apply it to soft concrete either. A densifier will help with moisture reduction and it may harden your concrete some, but it’s not a cure all for old, soft concrete. Our recommendation would be interlocking floor tile. These are designed to breath so moisture will not be an issue. Your best option is to apply a densifier just as we discuss in the article, Larry. Clean and scrub the concrete well, let it dry, then apply the densifier. Once applied, it will take approximately seven days for the densifier to fully react and work properly. Hello Drew. 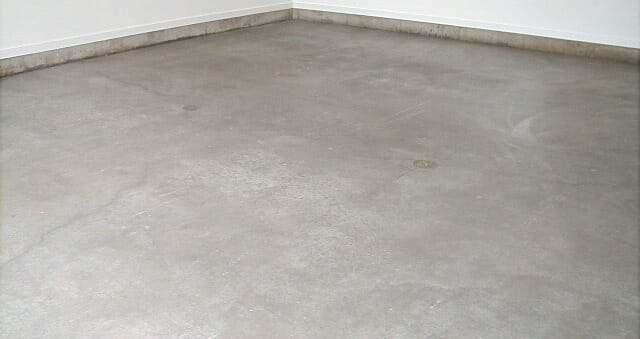 If your concrete is dusting badly then regular concrete paint may or may not stay adhered to the concrete very well. It would definitely help to alleviate the dusting issue. If starts peeling up in places, however, it can create a regular maintenance chore of repainting. If your basement floor has moisture, then paint will not work at all. Our garage floor is approximately 30 years old and the last few years we have noticed anything we place on the floor for a period of time and move has moisture under it. Some areas form white powder and then the concrete can be swept away a little at a time. Step where washer and dryer are positioned is breaking on the edge. Any suggestions? My husband feels the problem is elevations issues since we have seen the garage floor is a couple of inches lower then the driveway in the last few years. Hi Debora. Based on your description of moisture collecting under anything that you place on the concrete, you definitely have moisture under the slab that is rising up through it. The white powder is efflorescence. This is caused when the moisture rising up through the slab carries salts and minerals with it. Unless the surface of the concrete is blocked (floor mat, bucket, etc,), the moisture evaporates as it reaches the surface and leaves behind the white powder of salts and minerals that was traveling with it. The areas that are blocked do not promote evaporation and is why water collects. If the moisture issue was more severe, you would have visibly damp areas of concrete all over the slab due to the fact that the moisture can’t evaporate fast enough. Make sure that water outside drains away from the slab and does not flow towards it. This is one of the number one causes of moisture issues. Check to make sure your down spouts are not letting water collect up against the slab as well. Treating the concrete with a densifier as we explain in the article will help to slow down (if not stop completely) your moisture issues. It will also help to harden the surface and stop the efflorescence issues. Water runs into my garage floor from outside. The garage door opening has a slight dip inward so that rain water and melting snow comes into the first three feet or so of the garage floor. I am constantly sweeping or pushing out the water. Is there a material that I can apply along the entrance that will leave a “bump” to stop the inflow of water? Hello Bill. We would suggest looking into a garage floor door seal. You can run it from end to end. Just apply some silicone on the ends so water does not seep between the seal and what it butts up against. About 18 months ago we had a concrete driveway installed. Ever since then, we track dust into our home on our shoes which leaves dusty footprints all over our hardwoods. And our cars leave very heavy dusty tire tracks all over the garage floor, which is a gray painted floor, and that really shows the problem. We contacted the driveway company and the president came out and said, “I cannot imagine what is doing this. Did you pressure clean your driveway?” He obviously is playing dumb, and I need to pursue this further to I can get them to make corrections. Do you have any idea what would be the best solution to this dusting? Thank you in advance for any advice or suggestions you can give me. Hello Marilyn. No, pressure washing is not going to cause concrete to dust. It will dust for one of the many reasons that we listed in the article. I would recommend putting some pressure on the company to fix the issue. If it’s dusting as bad as you say, the only way to fix it would be to grind the surface down to the harder concrete or re-pour the driveway. If you apply a good densifer to the concrete it may slow down the dusting, but it will not stop it if it’s as bad as you say. Densifiers become less effective the worse the dusting is and will not fix a poorly done concrete job. Great article. I am having this dusting problem on a pool deck/patio and driveway, both poured at the same time, the deck colored with powdered “throw-on” color and both areas finished with a salt finish. They were poured a little more than a year ago and I didn’t notice this dusting last summer. It’s been a fairly wet winter here in northern California and there doesn’t appear to dusting from the concrete under a patio roof. Our contractor suspects the sun may be the problem (due to the difference between the exposed and protected areas) but I am sceptical. I really don’t want to have to seal and reseal this every year or so – it’s a very large area. I would LOVE to hear your thoughts. Hello Garrick. Rain will actually change the look/texture of concrete that is exposed to it versus concrete that is not. This usually takes some years to notice though – not just one. As hard as concrete is, it’s the pollution in rain (acid rain for example) that causes this change over the years. If the surface of the concrete is not a hard as it can be, then you can notice this effect much sooner, especially in a wetter climate. This most likely explains the difference in the exposed areas vs the protected areas. U.V. rays (sunlight) can be damaging, but it generally affects coloring, not texture. Has the concrete been sealed at all? Thanks Shea. Interesting info on the rain! No change in the color, just the dusting, which is a biggie cuz it’s tracking into the house and soon into the pool (getting close to that time!). The concrete was not sealed, I didn’t want to start something I would have to keep up with everything year or so in my advanced age. And I’ve had plenty of concrete that survived without sealing. Maybe the densifier you discussed as a one time fix? Yes, we would recommend a densifier in your case, Garrick. The one we link to in the article is good. Another good product for an application such as yours would be a densifer with siliconate sealer added. We would recommend the one in this article. Either one is very easy to apply and all that is required in terms of prep is to make sure that your concrete is clean. You can use a pump-up garden sprayer for the application. Just don’t let the densifier puddle for long. If it does, mop up the excess before it can dry.